Adijen road near Panchayat Ghar Adijen. During the course of checking random vehicles, a Maruti Suzuki Alto vehicle bearing registration number JK-18- 0655 was stopped. Upon search of the vehicle and the person driving it, brown sugar weighing about 100gms was recovered. The driver disclosed his name as Fida Hussain S/O Rashid Bhat R/O Rainawari. It was discovered that the said person is a policeman on the rolls of district police Kulgam. In this matter a criminal case with FIR no 14/2019 U/S 8/21 NDPS Act has been lodged in PS DH Pora. The contraband along with vehicle has been seized. The accused has been arrested and investigation is going on. 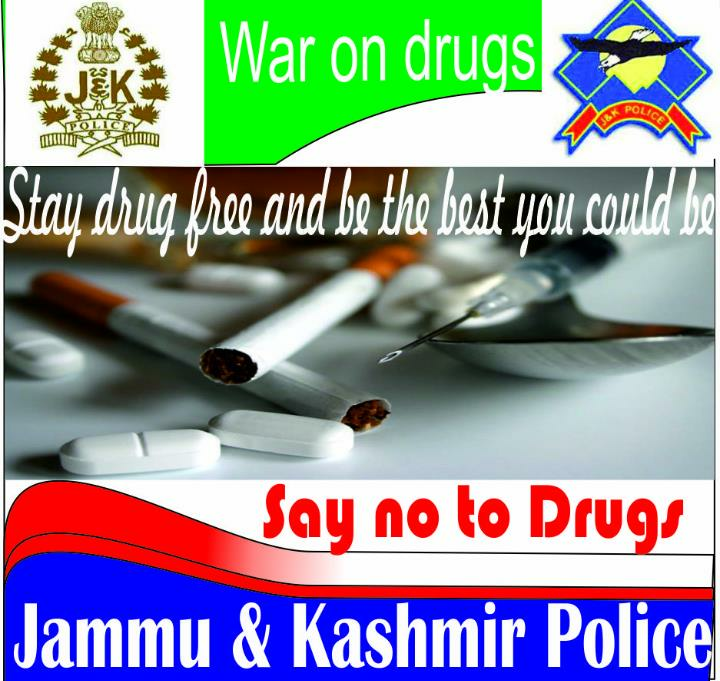 In its commitment towards eradicating the menace of drugs, JKP will spare no person dealing in drugs and will ensure strictest legal action possible against drug peddlers.